"I finally realized that part of my reason for being was to find and grow young choreographic talent and to be in the conversation around today's ideas," says Morgan. That focus on rising choreographers and work from in-demand dancemakers, including Justin Peck, Annabelle Lopez Ochoa and Adam Hougland, has come to define Cincinnati Ballet. So has Morgan's commitment to highlighting female choreographers. Ballets by Heather Britt, Jessica Lang and Amy Seiwert and several all-female-choreographer programs have solidified that reputation. Furthermore, Cincinnati Ballet's current resident choreographer is Jennifer Archibald. An Ailey School graduate and director of her own contemporary troupe, Archibald is a boundary-pushing choice based on the variety of styles in which she works. Having Archibald on board has broadened the dancers' artistry, says Morgan. "She has the most impressive and seamless blending of ballet and hip hop in her work. We are an integrated society, and the necessity to fold that into our art form will help guarantee that we have future audiences." Each season since 2005, Cincinnati Ballet has dedicated a program to world premieres with its Kaplan New Works series. The showcase has featured a wide variety of choreographers, including Archibald, Val Caniparoli and James Kudelka, as well as contemporary voices of "So You Think You Can Dance" fame, like Stacey Tookey, Travis Wall and, this past fall, Mia Michaels. The Kaplan Series "is on the cusp of whatever that next voice in dance is going to be," says Morgan. "It's a really important initiative for us because it gives our choreographers the opportunity to explore and invent." 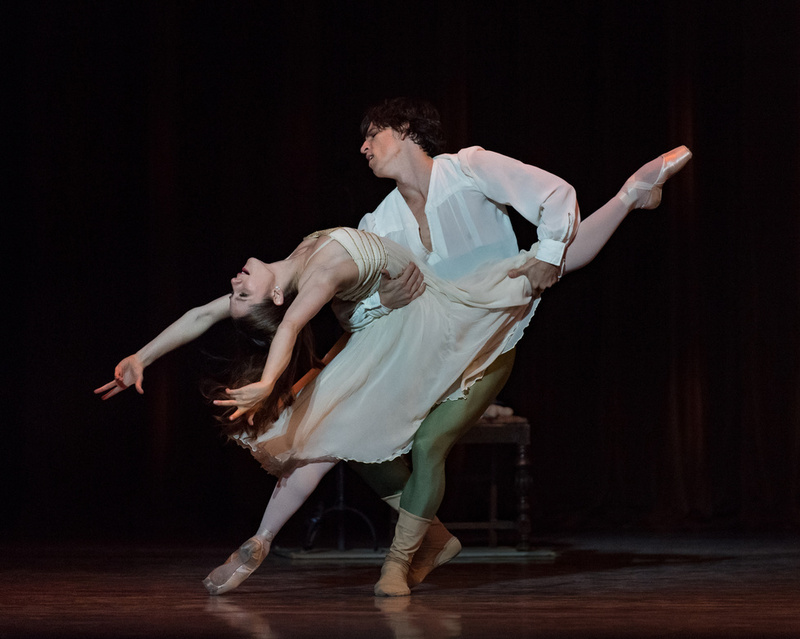 And while new works play an important part in the company's programming, Cincinnati Ballet's repertoire also mixes in contemporary ballets (Trey McIntyre, Yuri Possokhov, Edwaard Liang), modern classics (Balanchine, Jiří Kylián), classical story ballets and newer full-lengths from the likes of Septime Webre, Devon Carney and Morgan. A prolific choreographer for the company, Morgan will premiere her version of L. Frank Baum's Oz tales with Dancing to Oz in April. What else characterizes the 27-member ranked troupe? "We are a company of strong personalities and big movers," says Morgan. One of those dancers is newly promoted principal Melissa Gelfin. The 26-year-old describes the company culture as warm, welcoming and encouraging. "The repertoire is so dynamic and diverse," she says. "As a dancer, I have grown a lot from that and have been pushed to extremes that I personally had never been pushed to before." Gelfin says that Morgan has a gentle toughness in the studio. "Gentle in a way that you are not intimidated to push your boundaries and go to places that are a little scary." For some dancers, challenging themselves might also mean pursuing a degree. The company has a unique relationship with the University of Cincinnati's College-Conservatory of Music. Main and second company members or college-aged students in Cincinnati Ballet's Otto M. Budig Academy professional division can receive college credit for their work in the studio and onstage. The two organizations have some shared teaching faculty, and upperclassmen at CCM have the opportunity to train and perform with CB2. For Morgan, work ethic is a huge part of what she values in dancers. "She wants to see you go to these crazy places," says Gelfin. "If you fall she will make sure you are okay, but she may also say, 'We can do something with that.' "
Open auditions are held in February and March in Cincinnati, New York, Boston, San Francisco and Houston. Alternatively, Cincinnati Ballet accepts video submissions to be invited to one of 20 company class auditions throughout the year. Maximum height for females and minimum height for males is 5' 9." Beyond a dancer's facility and strong technique, Morgan looks for personality: "Someone who is vivacious and confident and has a sense of freedom and attack in their movement."